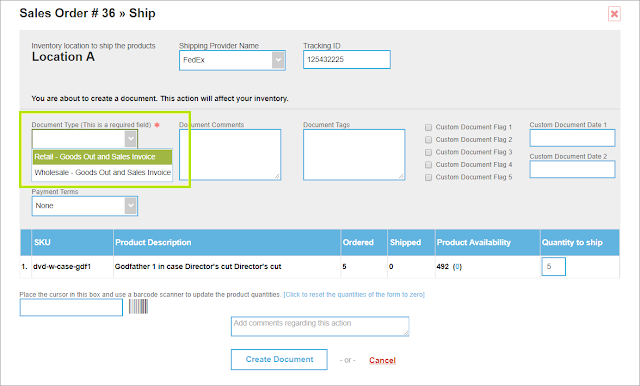 Control how your team accesses different invoices when using your online inventory management system. If you are already using Megaventory (or even if you just have a business with more than one employees), you may be by now familiar with the need to restrict users to specific processes and modules within the software. Because we understand your need for privacy settings and varying access levels for individual team members, one of the very first developments in Megaventory was the ability of administrators to grant different levels of access to their accounts. A franchise store owner may have access to issue orders and view reports of his store but will be denied access to stores of other franchisees. A Sales manager of the franchisor company may have access to sales reports from all the franchisee stores. Each franchisee store may use Megaventory to send their Purchase Orders directly to the main warehouse of the franchise company. Impossible to handle all that without very granular levels of access, right? As this User Access Permissions module has already lifted a great weight from the shoulders of a lot of you, we decided to give this feature an upgrade. 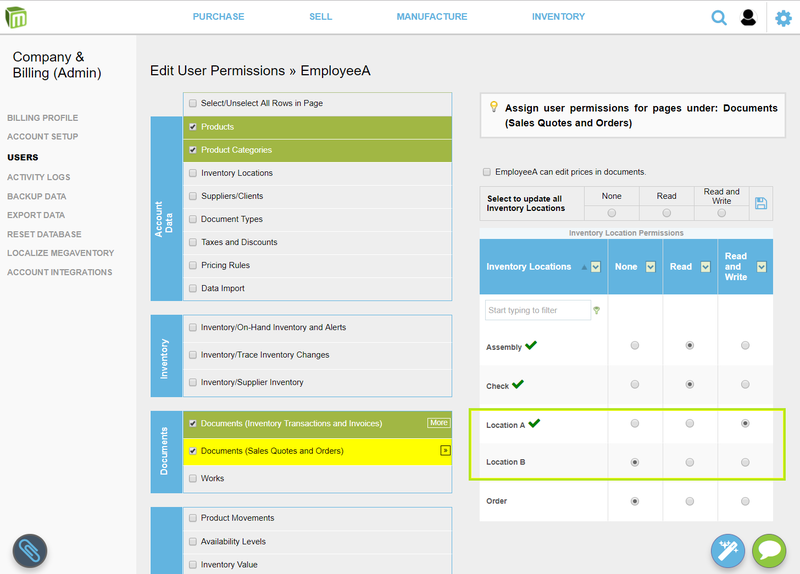 With the new and enhanced User Permissions module, you are now able to grant each user different access levels to various accounting documents you issue as a company. So with this opportunity let’s see the detailed user permissions you can provide to your business in Megaventory in an example with three steps - with each step introducing additional complexity. If your company has more than one sales points you can grant access to different users accordingly. In other words, your employee in Boston will not be able to handle work related to your shop in New York such as see that location's inventory levels, sales and purchase orders, relevant reports, etc. This setting, apart from keeping your company's information secure, will also save up valuable time to your team members. 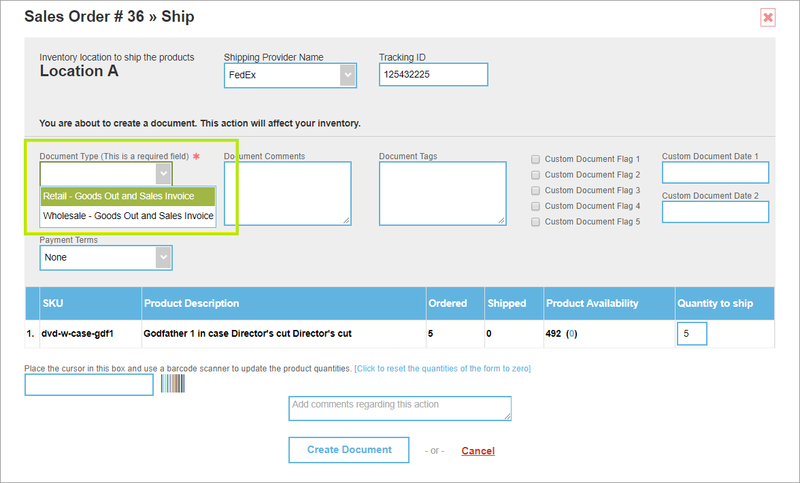 For example, when loading the available accounting documents to fulfill an order, the user will only see the documents related to their location with no need to filter out irrelevant entries. So, in the example above, we have visited the User Acess Permissions page for the user EmployeeA. As you can see, the user has "Read and Write" rights to Location A regarding stock transactions and invoicing. In other words, they have the right to view and create documents and invoices regarding this location only. 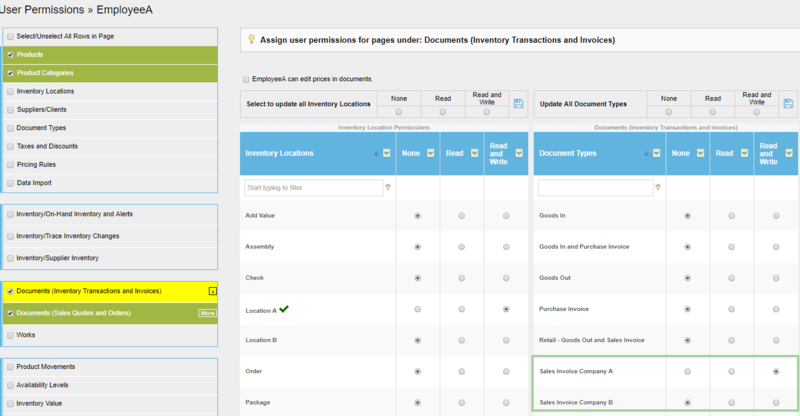 At the same time, the permissions for Location B are set to "None" and the user has no access whatsoever to documents and invoices related to that location. Another possible scenario where user permissions come into play is when a business is selling at both retail and wholesale prices. That's a typical evolution of a company as it grows - to expand into B2C apart from B2B (or vice versa) - and that can be supported in Megaventory as well. In this scenario if your customer is an individual or a company entity, a different price list should load when you create a sales order. On top of that, you may have different people to manage B2C and B2B sales. So in Megaventory, you can create two different types of invoices - one for retail and one for wholesale. Following that, you can grant access to both of them to a user that handles wholesale purchases and sales. Alternatively, you can choose to limit a user so that they can do either and not both. In the above image the user has access to both types of invoices. In a different example where they have access to one of them only, the drop-down menu would show just one option. With the Megaventory inventory management system, you can - to a certain extent - manage different companies with a single Megaventory subscription. Setting your account like this makes sense if two (or more) companies share a common inventory or you need to cut down your expenses across various projects (is there really a need to pay for a separate ERP system for every new venture you have going?). So, to follow up on our previous example, here's what you can do if your business grows and you'd like to have a separate company for a different product line or region - but still serve both entities from the same stock. With our new upgrade, you are able to grant permission to each employee to issue a different invoice depending on the company they are working for. So, the employee that works in company A will only see an invoice format for company A when trying to fulfill a sales order in Megaventory. Similarly, the same employee will have no access to the invoice format of company B. In the example above, EmployeeA can issue an invoice for Company A but cannot issue one for Company B. So if you have created an invoice document type for Company A complete with address, billing and other such information that will be the only one appearing in dropdown menus for EmployeeA. Thanks to this setting, you can host the invoicing processes of both companies under the same Megaventory account. That way, chances to make common accounting mistakes - like issuing an invoice with the accounting details of the wrong company - are eliminated. We hope that this upgrade will come in handy for a lot of you. Your feedback is valuable, so if you have any comments or suggestions on what you would like to see supported in Megaventory, leave a comment below or tweet us! You can also get in touch with any questions at support@megaventory.com. 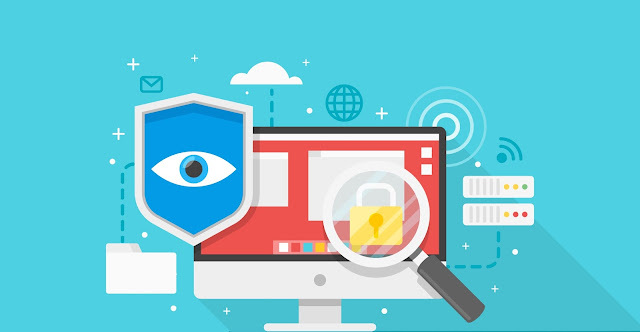 We are happy to walk you through the details to help modify your User Access Permissions to take advantage of the new features. And if you haven’t tried Megaventory, maybe now is a good time to upgrade your inventory management system?